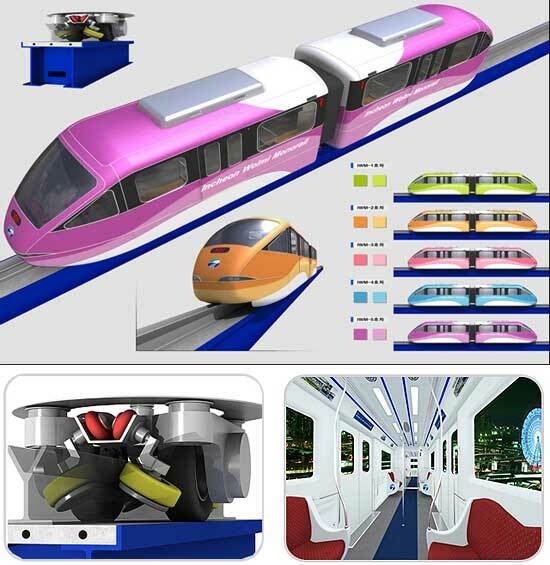 Photos courtesy of Urbanaut Company, Inc.
UPDATE: as of 2014, reports from the Korean press indicate the Wolmido Monorail has been abandoned due to poor construction. It was found that the building contractor did not construct the system to specifications of Urbanaut, resulting in crooked pylons, track, and other problems. 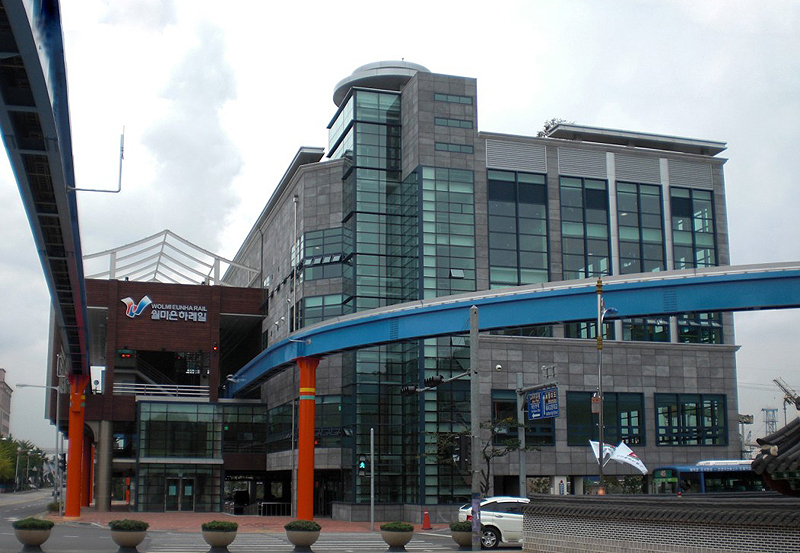 The first monorail to use Einar Svensson's Urbanaut technology is Incheon, South Korea. Svensson's design avoids the need for guide wheels along the sides of the beam. For extensive technical information, visit the Urbanaut website. This beautiful art rendering shows the Incheon Monorail at night. The line connects Wolmido Island to the mainland. 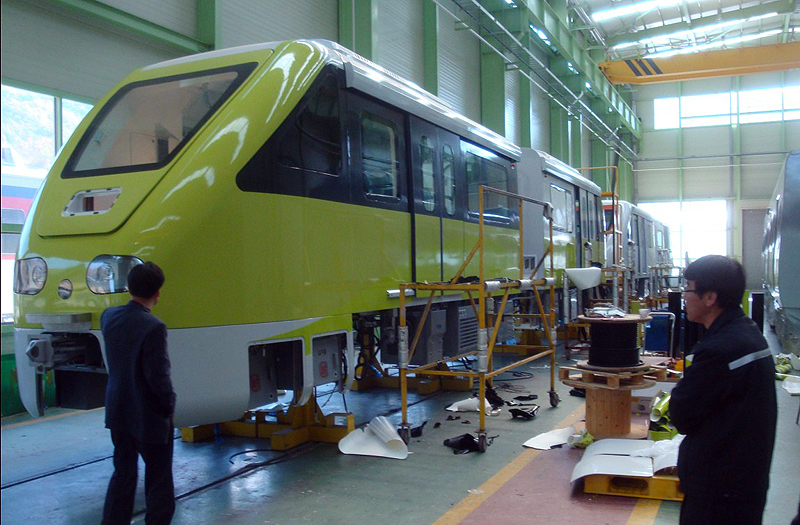 Rowin Co., LTD has built the trains for South Korea's first major urban monorail system. 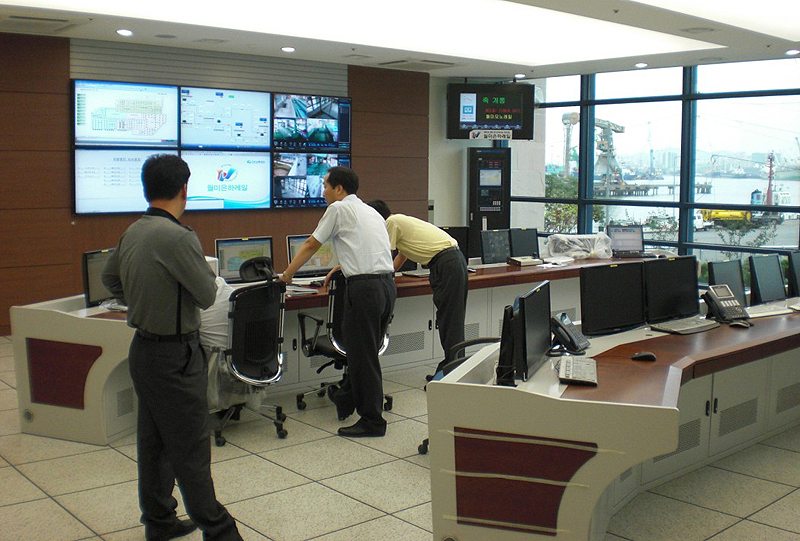 Technicians monitor test operations from their state of the art control center. 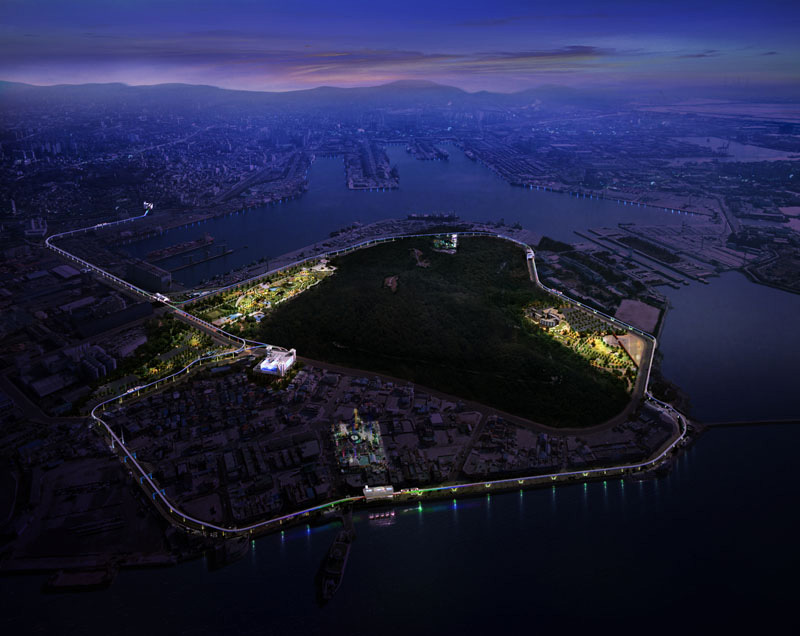 A dual guideway runs from Incheon City to Wolmido Island. At that point, Station 102 is where the guidway splits for a loop around the island. The system will serve and circle Wolmido Park, a popular tourist center. 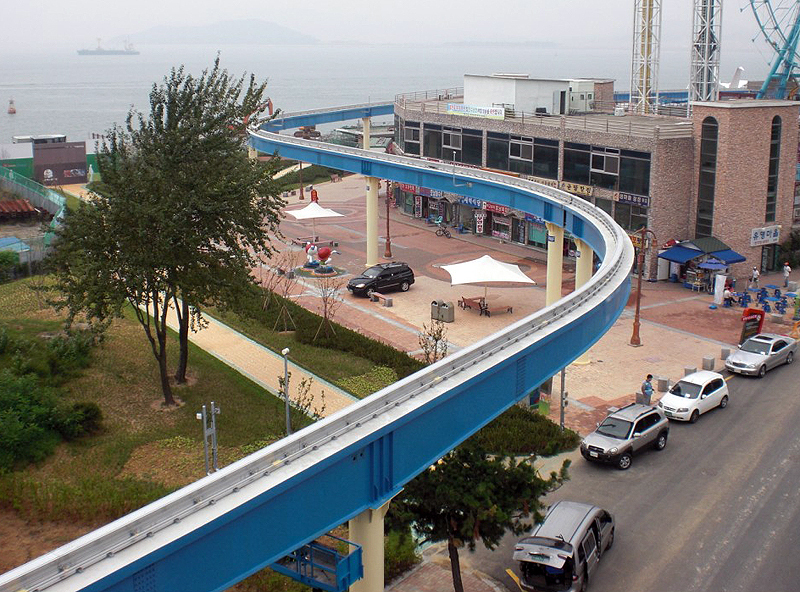 This S-turn demonstrates the ability of monorails to weave their way through many environments, all without disturbing pedestrian or vehicle traffic below.